You can read about Freemasonry on these pages. However there is no better way to understand what Freemasonry has to offer than by listening to the stories of Freemasons themselves. The entry video showed our Provincial Grand Master, Sir David Trippier, introducing Freemasonry and talking about his own Masonic journey. The social side of Freemasonry is undoubtedly enjoyed by all, including our families. As a member of a masonic lodge a freemason enjoys the sense of trust and benefits of a special network of friends. He is able to develop social skills and self-confidence in a group of like-minded individuals which transcends the traditional demarcations of social status and wealth generally found in society. A sense of fun and enjoyment benefits all members of Freemasonry. There are almost 250 Lodges in the Province meeting in over 20 Masonic Halls, usually monthly on the same day of the week with a break over the summer. Each will have its own social calendar suited to its particular profile. Some Lodges hold formal, Silver Service dinners after Lodge, others are content with ‘pie and chips’ served by the Lodge Stewards. Some Lodges hold formal Ladies evenings, others simpler social evenings, dinner dances or themed nights. Many Lodges arrange regular evenings or afternoons out for the brethren and their families: curry nights, weekends away, organised trips, for example to visit Grand Lodge in London and take in the theatre, canal boat trips etc. Many brethren get together outside the Lodge, for example golfing, bowls or other sports. Each Lodge may have a small social committee comprising two or three members and their partners who do the planning and arranging. One of the great joys of Freemasonry is visiting other Lodges and partaking of their particular traditions and hospitality. This widens your social network and new friends are easily made. In fact many freemasons who travel the country or abroad with work will often find a Lodge to visit wherever that may be. The Province, Area or District sometimes arranges large functions to bring people together. In 2012 the Province held a Diamond Jubilee Banquet attended by the Lord Lieutenant of Greater Manchester. It was a very special charitable evening which raised money for the Manchester Children’s Hospital and was attended by over 400 people. Take a look at the news pages on this website to get an idea what Lodges have been up to in different Districts. The opportunity to give time and / or money to a wide range of charitable organisations and generally benefit society is a strong reason for many becoming a freemason. Charitable giving is Freemasonry in action and we have devoted a page to introducing you to just this. Did you know that the Freemasons’ Grand Charity gives more to other charities than any Charity in the country with the exception of the National Lottery. Freemasons give as individuals, collectively within the Lodge or even as a Province. Many of our social functions have a fund raising element to them, what better way to raise money than when enjoying a social event. Freemasonry is far more open about its benevolent work than it ever used to be and many areas arrange local giving events where the good causes being supported are invited in to receive their donation and give feedback to the audience on how the money is going to be used. 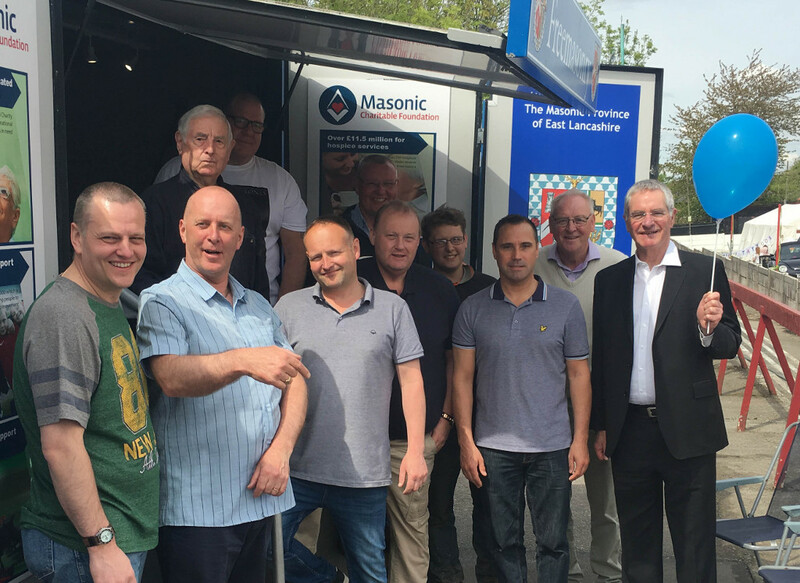 For many Lodges their local community activities and giving has enabled them to raise the profile of Freemasonry and make healthy connections with the local community, often to the benefit of membership. Freemasons learn about the importance of looking after those less fortunate than themselves from the day they join, but no-one is ever asked to give beyond their means. Family and personal commitments always come first. One of the benefits of membership is that when a Freemason or his dependants fall on difficult times, through circumstances or life changing events, Freemasonry has its own set of internal charities that can step in to offer assistance. In fact every Lodge has an Almoner who looks out for brethren in difficulty and summons assistance where it is required. The Ritual and ceremonial displays that we work in the Lodge Room represent the single thing that distinguishes Freemasonry from most other social groups with the exception of organised religious services. It is an important part of Freemasonry for many members. Life is full of patterns of behaviour which can be regarded as a ritual rather than a routine. A freemason views ritual as a method of transmission of moral codes, giving him a sense of becoming a better person and achieving confidence and accomplishment. The people who wrote our Ritual three centuries ago took inspiration from many sources to create a series of moral plays. Most Freemasons take their ritual very seriously and those who take on board the messages they contain learn to examine and improve themselves, becoming better fathers, husbands, colleagues, friends and men in the process. A new member passes through three stages, called Degrees, usually over a year or two, before becoming a ‘Master Mason’. These all teach moral and ethical behaviour and how we should conduct ourselves. Freemasonry is not a religion but does encourage members to follow their own religions. In fact the discussion of religious doctrine or politics is not allowed in the Lodge. This is why we are able to bring together men, regardless of their religious or political persuasion, to work and play together in harmony. Most of our ritual is available to read on the internet and in libraries but we urge you not to do so. The ‘mystery’ of the Lodge Room is worth preserving and is an attractive reason why so many choose to join us. You can read a lot more about Freemasonry and the Lodge in our downloads section. If you have any questions not answered there, you only need to ask.